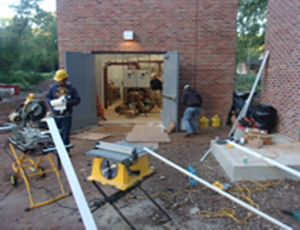 Lawrence Township, Mercer County, NJ – CES provides ongoing design, bidding assistance, and construction management services for our utility client’s many wells, treatment facilities, mains, and other infrastructure facilities. Our professionals help out utility client maintain and constantly improve the very reliable water system it owns and operates throughout New Jersey. This project included rehabilitation of the existing Well #4 well house, and construction of Wells #4, 5, and 8, water treatment system building and appurtenances. 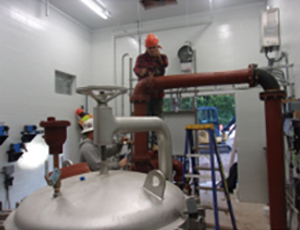 The new water treatment building is a 19-foot by 33-foot structure. Interior installations include air relief, sampling tap, pressure gauge, blow off, Harmisco media filters, and UV treatment. Wells 4 and 5 will have chemical treatment with an outlet for 120-feet of 48-inch contact pipe.